Many people are firm believers of face masks when it comes to skin health. But just as many people rarely ever use face masks. For all the non-believers, using a face mask once a week can noticeably enhance your complexion. Nevertheless, using a face mask habitually does not guarantee better skin, what kind of mask and how you use the mask can make a world of a difference. Why Choose a Clay Face Mask? Clay face masks benefit the skin by using capillary action to absorb unwanted and excess remnants on and below the skin’s surface. The face mask will sop up and remove sebum, bacteria, excess water, toxins and irritants from the skin’s pores while exfoliating dead skin cells, and blackheads devoid of rubbing and roughness. 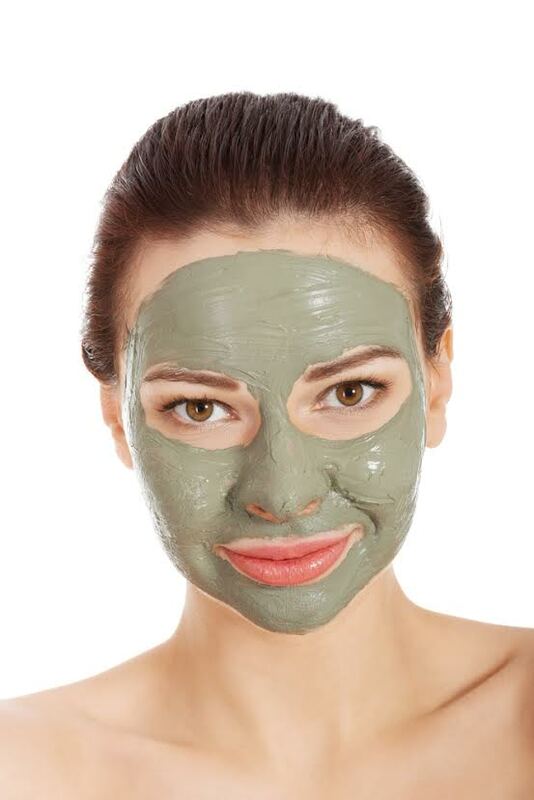 Interesting fact: Clay can soak up to 200 times its weight in water, making it an ideal form of face mask. Wet Stage: When you initially apply the clay mask it will be damp, thus, providing your skin with moisture. During this stage, your skin will drink up all the beneficial minerals your clay mask has to offer. So make sure you use a clay face mask jam packed with nutrients. Drying Stage: As a result of being exposed to air, your clay mask will start to dry up and feel tighter. The capillary action that clay masks are known for will begin during this stage. All the impurities, excess oil, bacteria, dirt and other toxins and unwanted remnants will be absorbed and removed during the drying stage. Some individuals leave clay face masks on even after the drying stage. The tighter and dryer your mask becomes it will reverse the initial good it did. When you feel stiffness and cracking of the clay mask you have entered a third stage that is detrimental to your skin’s health as the clay mask will draw out moisture leading to dehydrated and irritated skin. MD Beauty Secrets offers a refreshing CLAY MINT FACE MASK for clearer, revitalized skin. This mask provides an effective way to clean and tighten pores while absorbing excess oils and helping to dry up blackheads. The Clay Mint Mask draws out impurities and oil as it nourishes the skin with enriched clay. Kaolin and hectorite clays are combined to combat blockage and promote a clearer, glowing complexion. Dead skin cells, bacteria and excess oil are banished, leaving the skin smoother and healthier.